This past Thursday was our first 8th Grade Recognition Program of the year. 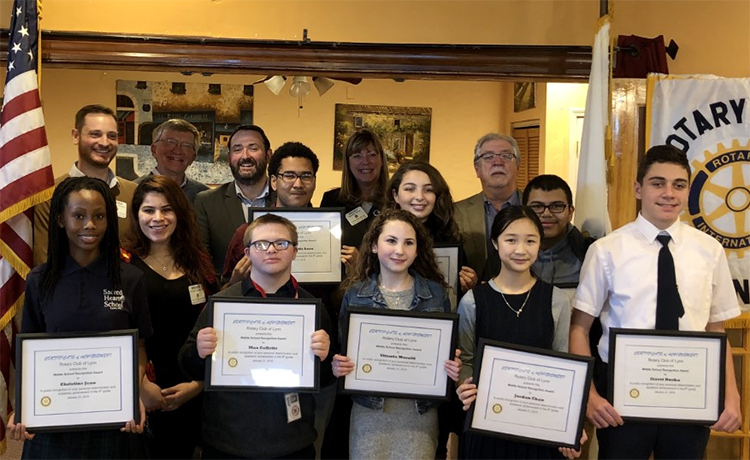 Each year the Rotary Club of Lynn recognizes one 8th grade student from every middle school in Lynn each month between January and May. The students are awarded with a certificate, a $25 credit to open a savings account at Riverworks Credit Union and a Barnes & Nobles gift card. We would like to give a shout out to Riverworks Credit Union for sponsoring this wonderful program.